is Bells still peeing on the bed? 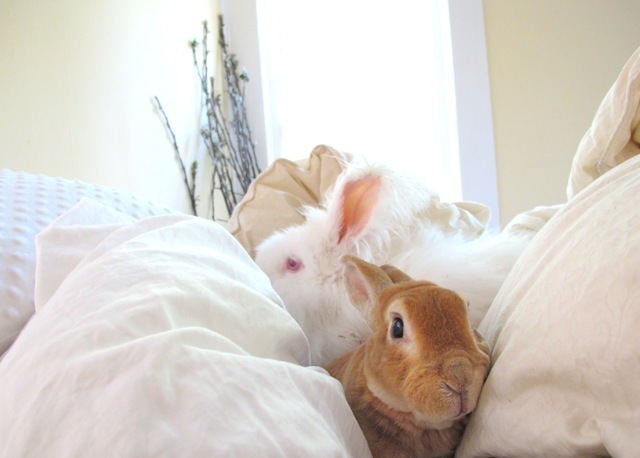 I wish all bunnies were this comfy and cared for! Beautiful!